There are 8 reviews of Signorina. A fruity top note - a bit like a blackcurrant with a leafy component - mixes with a very light touch of pepper in the initial moments. The drydown turns completely floral, with jasmine and a white floral core - think muguet and peony - with a rather nondescript rose impression. The whole mix is soft and sweet. The base is an even sweeter experience, with a creamy panacotta with a touch of almond/coconut and a good lashing of white musks towards the end. A spring scent that has original touches, but lacks the level of quality of the ingredients to really raise it above the average. 2.75/5. 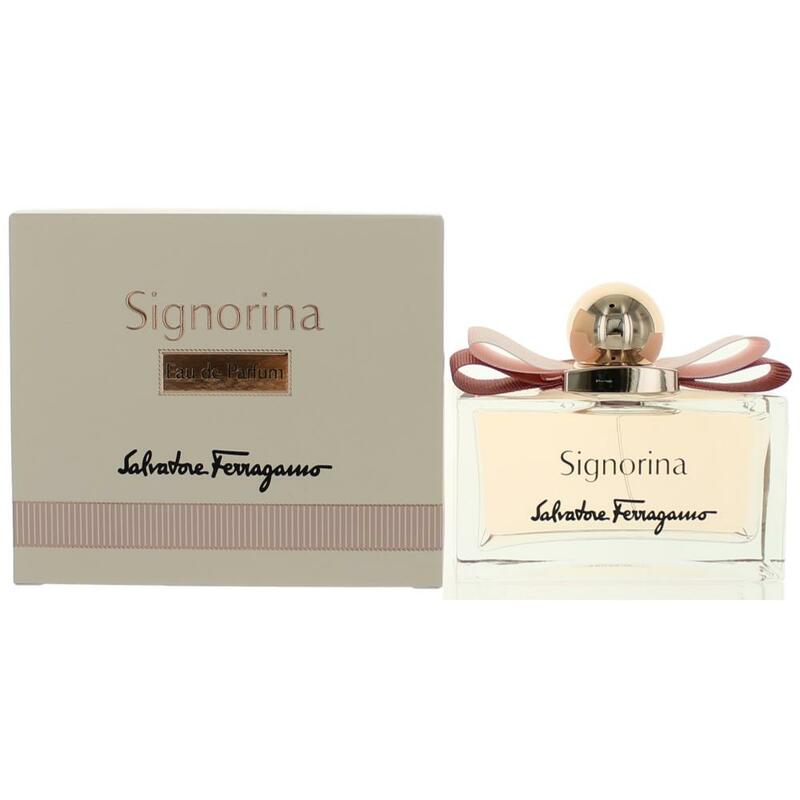 An enchanting fragrance that kisses the skin.a nice scent for a nice date,dab a little behind the ears.. a little goes a long way, such a lovely scent.SIGNORINA is one of those fragrances that makes people want to make come back for another sniff and there is just something about wearing this fragrance that makes you feel complete and ready start your day.this is a very pleasant and lovely scent,but there is nothing super-spectacular about it.delicious in a unobtrusive way.when i tried it,all day enjoyd with the scent on my skin. Cute,Modern,Youngish,Sweet,Yummy, Lovely,Creamy,Cheerful,Wearable and Cuddly scent in a elegance bottle. This fresh fruity/floral scent presents a delicious mix of spicy pink pepper and red currant over a delectable flowery notes of rose,jasmine and especilly peony.musk,patchouli and pannaccotta bring up a interesting base as the drydown to this enchanting and nice mixture that makes you feel like a young princess while soaking in a big tub.i love the dyr down and the sweet notes to this fragrance that will make any ladies feel graceful in their own skin.perfect for spring and for celebrating.if you are looking for a safe,cute,flirtatious and not overpowering everyday scent,you may want to consider this. Lovely light, pretty fragrance for days when you want something effortless and undemanding. Starts bright floral, with the peony in evidence, then dries down to a sweet-ish creamy base (the pannacotta, I suppose), tinged with patchouli. Not the most complicated perfume in the world, but well done nevertheless and somehow very Italian. Only problem for me - and reason I wouldn't buy - is that within 30 mins pretty much everything but the creamy base has disappeared and it's a very faint skin scent at best. Nice while it lasts though. THIS IS THE ULTRA-FEMININE PERFUME IN A GROWN-UP GIRLY WAY. One of my most favorite scents indeed! If you love sweet, floral scents that remind you of spring or garden blasts, you will LOVE this one! It’s very pleasing, very charming and GREAT LASTING POWER so wear sparingly to avoid any headaches. It made me feel feminine and elegant in a modern way which attracts compliments on how good it smells on me. I must have a good chemistry with Signorina. It draws compliments for miles around from both men & women. The most memorable one would be from a male doctor whom purposely waited for me in order to ask what perfume i used. He said it smells very feminine and he loves such smell on a woman. Am guessing that he's getting it for his girlfriend soon. Lucky girl! I just love it. It's not overwhelming and is suitable for both office and leisure time. The bottle is classy and sophisticated; looks really good on my perfume cabinet. I bought this scent for my niece as a graduation gift. When she opened it at her graduation party, she sprayed some on her wrist and it smelled soooooo delicious. Every woman in the party wanted to put it on. I loved the sweet feminine smell. 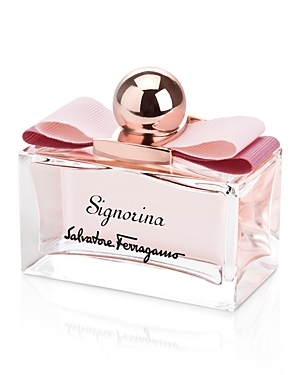 Like the name says "Signorina" it is perfect for a sweet young woman. Really pleasant, fruity and powdery/milky synthetic easy accord with a faint shadow of patchouli. Probably too much radiant and fruity/milky for my full pleasure. 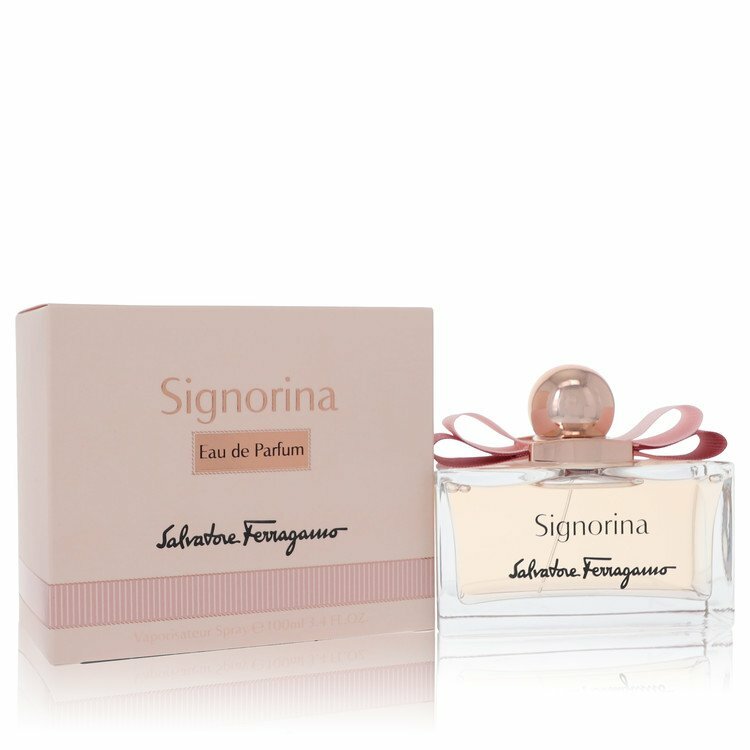 The Signorina's beginning is almost yummy, with a really notable blackcurrant's blast and a dominant (on my skin) sambac jasmine while the final pannacotta/musky accord is indolic and "pearish"/coconutty till the end of the trip. Dazzling, modern, chic and almost jammy but not surely classy in my humble opinion. 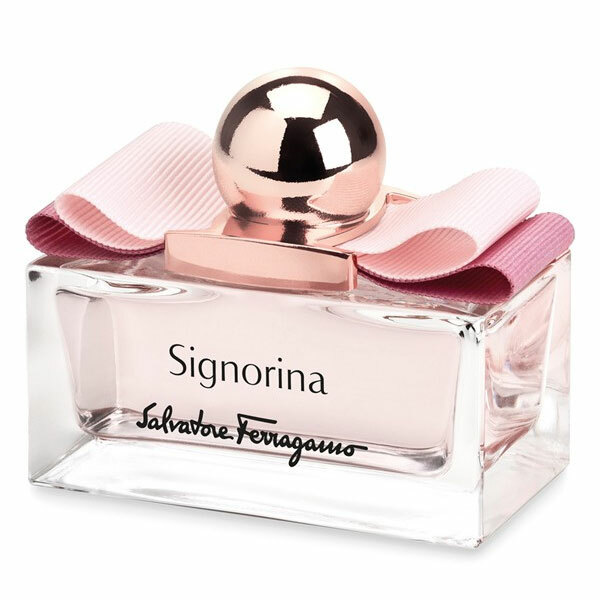 There are no member images of Signorina yet. Why not be the first?